Unless your website is very basic, odds are that you use some sort of navigation to help visitors find website content. Usually navigation is in the header or left side of web pages. Inevitably, there will be times when you are asked how often and in what ways visitors are using navigation. In this post I will cover some common navigation questions and how to answer them. 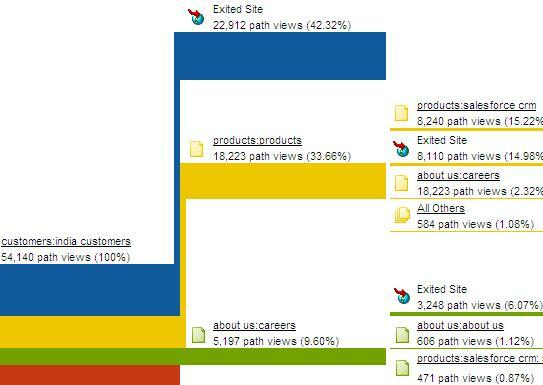 Which individual navigation links are clicked the most? Which navigation areas are clicked the most? This is usually related to the main section area, not individual links. From which pages are visitors using each navigation link? For what percent of website visits is navigation used? In what order do website visitors use navigation links? 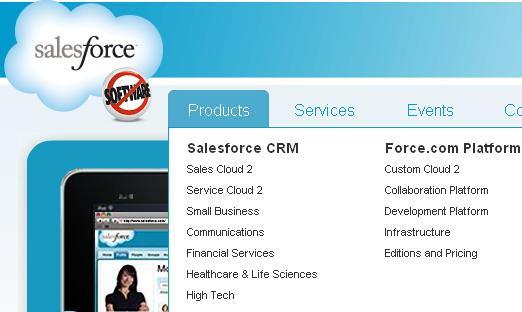 Which navigation links lead to key website success milestones being accomplished? Which navigation areas are clicked the most? From which pages are visitors using each navigation link ? 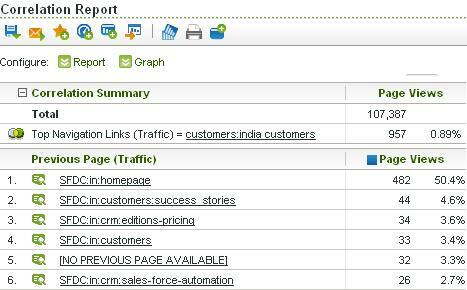 In this case, we can see that the “customers:india customers” Top Navigation link was only clicked 482 times from the home page. 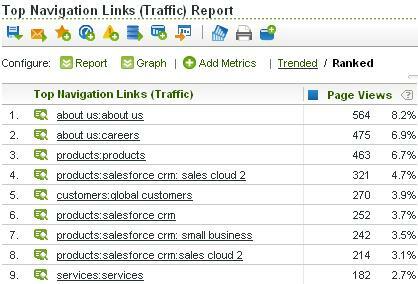 Finally, I will occasionally be asked which navigation links are contributing to success. 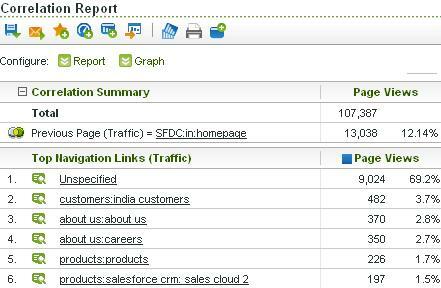 To answer this question, all you have to do is enable Participation for your key metrics on the Navigation links sProp described above. 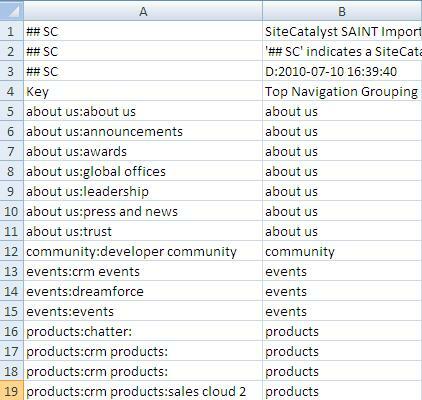 This will allow you to add a Participation metric to the first report shown above to see which links were in the flow of your key website Success Events. Well, there you have it. 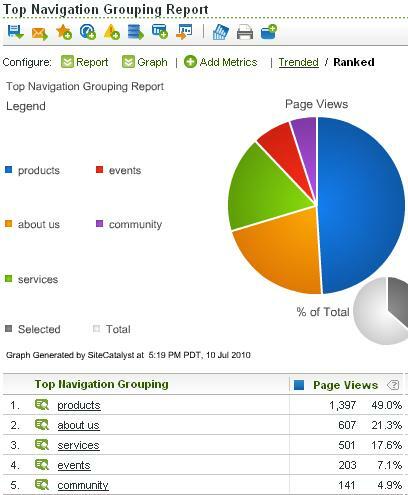 Everything you wanted to know about tracking your website navigation, but were afraid to ask! If you have any comments/questions, use the form below. As an alternative, instead of using SAINT to extract the top navigation grouping, we could use another prop to hold that value and which would be passed in at the same time. Ken – Agreed. I tend to advocate SAINT only because I am often short on variables!! I am currently dealing with a client who is also short on variables. This suggestion will come in handy. This is absolutely perfect. I’ve been struggling with Navigation questions and was going to attach CID’s to each of the link names, but I hated the thought of that and haven’t done it. Thanks for providing this great alternative. Thanks Adam – very useful suggestions. However, we have alot of examples on our site where there are two links on the same page and named the same – one on the left nav, and one on the body of the page – both going to the same destination. What would you suggest we do in this situation? This is exactly what I was looking for. Especially for those Omniture users still on v14. It would be a fun exercise to explore if something like this gets any easier in v15 and with ReportBuilder instead of ExcelClient. Thanks Adam! I was wondering about the “What percent of website visits is navigation used?” question. 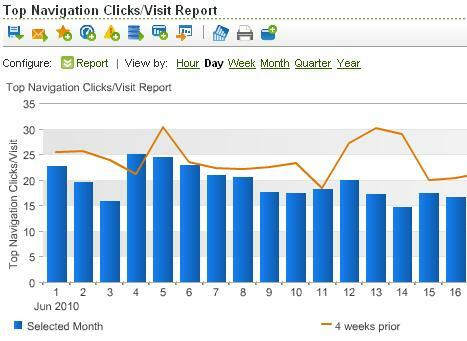 When we divide Navigation Clicks by Visits, does SiteCatalyst use only one event triggered per visit or every event triggered for the visit? 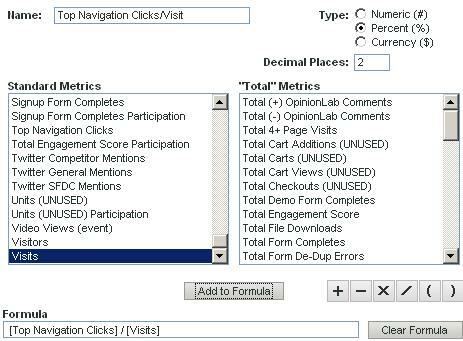 I could imagine if many visitors clicked around and racked up a ton of Navigation Click events each session,the report could be skewed somewhat.